HRI operated retail stores in over 70 countries around the world. Hard Rock International operates retail shops on their famous properties around the world including restaurants and resorts with the largest music memorabilia collection in the world. Their merchandise is customized to include the city name drop as many visitors purchase their merch as collectables from their travels. Considering that they are operating in over 75 countries around the world, it becomes challenging to manage these unique inventories for each city separately. Moreover, the retail shops are small with limited storage/backrooms and this entire operation is being managed by a small inventory management team. Planning & merchandising was also challenging due to the unique assortment, a variety of store capacity, and over 50 currencies. Retalon’s predictive analytics and AI generates highly accurate forecasts not just at the store/SKU level but down to the style/colour level. Moreover, Retalon intelligently recommends an accurate size distribution for fashion merchandise. 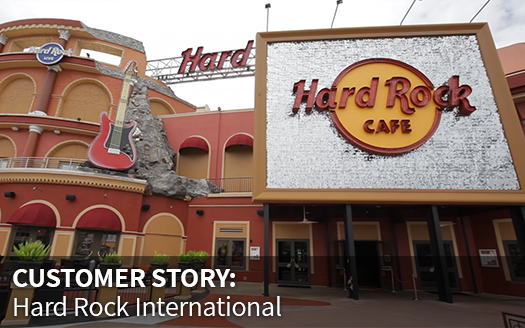 The system has allowed Hard Rock’s small retail team to more effectively manage and optimize their business with significantly improved visibility, profitable recommendations, forecasts, as well as greater automation and consistent workflow. After introducing Retalon’s Planning, Purchasing, and Replenishment solutions Hard Rock’s retail business has experienced increased automation, improved decision-making capabilities, and lower inventory costs. The Paper Store is a quickly growing retailer with a very wide range of assortment and seasonal products. 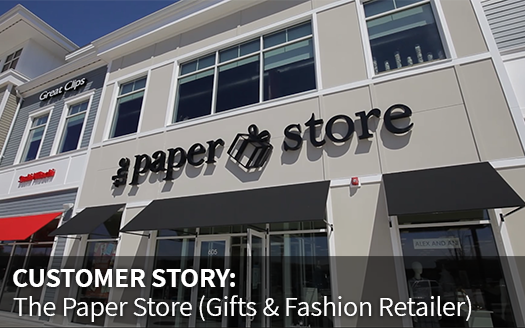 The Paper Store is a quickly growing retailer with a flourishing e-commerce presence. The retailer carries a highly diverse assortment including includes Gifts, Fashion & Accessories, Bath & Body, Infant Fashion, Home Décor, Educational Toys, Spa Products, Best-Selling Books, and more. The business is highly seasonal, runs many promotions and faces strong competition on the web. As the company continues to grow it has become increasingly challenging to manually review purchases and replenishment quantities for every store/SKU in the business while maintaining a high-quality customer service level. Retalon introduced a great deal of visibility, automation, and proactive recommendations to The Paper Store. The system generates highly accurate demand forecasts even for highly seasonal products, new products, or sporadically selling merchandise that is difficult to forecast with traditional analytics methods. The Paper Store uses Retalon’s Purchasing, Replenishment, and Promotions solutions that are all unified on one predictive analytics platform to optimize their highly diverse and dynamic assortment. This has allowed The Paper Store to maintain a high In-Stock % even on hot items during seasonal peaks and execute more successful promotions. Instead of manually adjusting quantities for each store/SKU, most of these processes are now automated with highly accurate recommendations with users only having to review a very small number of exceptions flagged by the system. 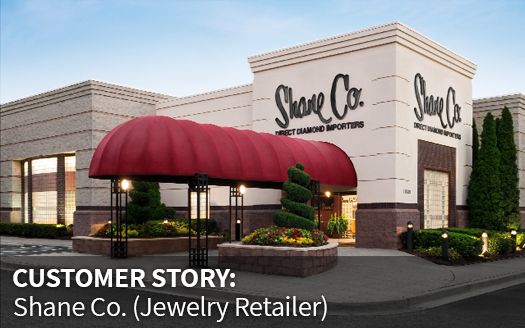 The largest privately-owned jewellery retailer in the United States. Many of the products that Shane Co. carries have high costs and prices. Moreover, some of the stones they sell are individually unique by nature. The business also experiences huge seasonal spikes on holidays like Valentines Day and Christmas that result in inventory imbalances and broken assortment across locations. This makes purchasing, allocation, and replenishment decisions challenging. Retalon provides a highly accurate demand forecast and generates purchase orders as well as allocation and replenishment schedules. The system accounts of seasonality, geo-demographic diversity, assortment depth vs diversity, and many other factors to optimize assortment across all locations to boost sales whiles maintaining a significantly lower inventory cost. Moreover, Retalon’s Inter-Store Inventory & Assortment Balancing solution proactively balances inventory between stores to avoid lost sales and needless markdowns. This has also significantly reduced the manual labour required for inventory management planning & decision making. Follett operates over 1200 stores and multiple online storefronts serving over 55% of American families. 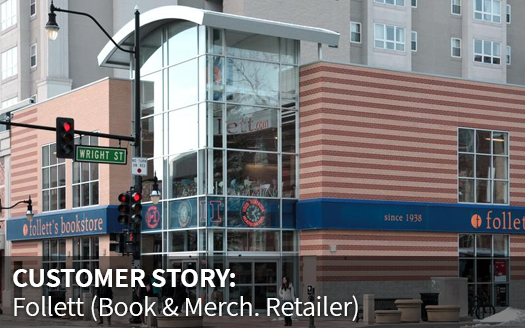 Follett operates university book & general merchandise stores across North America. The stores carry a wide variety of merchandise from general school supplies, books, food, apparel, technology and giftware. Many of their products are customized for the university location. Follett also carries a huge number of book and textbooks. This results in over 1.5 Million Store/SKU combinations and this number was quickly growing. There was no centralized system to manage the diversity and unique details/restrictions for every store/product combination as most of the work was done manually through Excel. Retalon’s team was able to understand the graduality and complexity of their business operations and configure this framework within the Retalon’s system. The system’s business rules/triggers were applying to achieve a great deal of automation and consistency across the entire business. Retalon’s predictive analytics engine is now generating several millions of store/SKU forecasts every single day covering the entire business and recommending purchasing and replenishment quantities proactively. Moreover, Follett utilizes Retalon’s micro-merchandising solution to optimize and manage dynamic clusters of products, stores, and e-commerce storefronts. Get a Personalized Demo of Retalon’s Solution for your business.